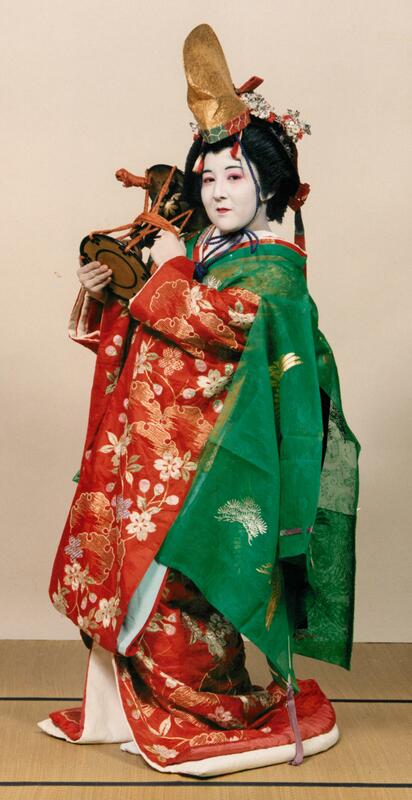 Did you all know that Satomi is professionally-recognized traditional Japanese dancer? She’s been dancing since she was 3 years old. Satomi received her “natori” (professional title) back in 1996 and her professional name is Hanayagi Tokusatomi. This photo was taken a few years back and includes everyone affiliated with the group. Sensei is the older lady with no makeup in middle of the first row. Can you tell which one is our Satomi? Hard to tell with all the makeup, huh? The dancer to the right of sensei in the photo is our girl. 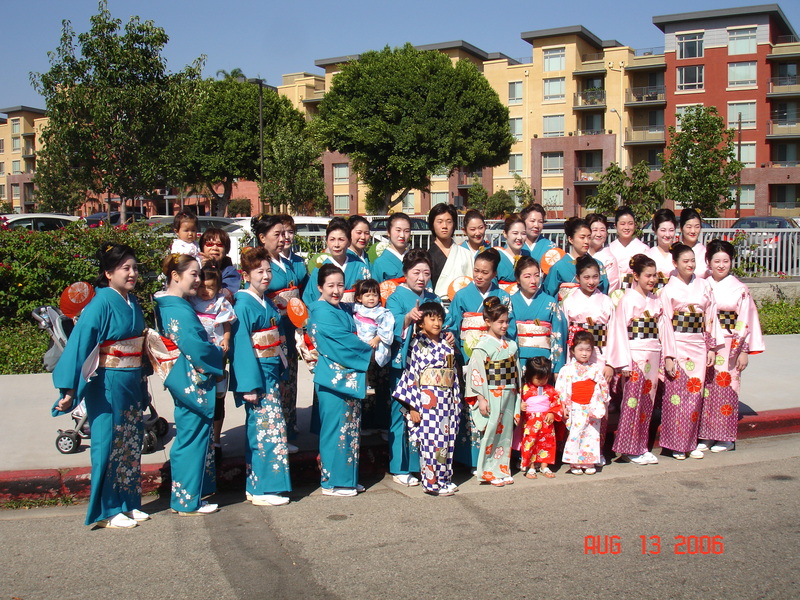 Sensei passed away in 2006 so the entire group gathered to join the Nisei Week parade to pay tribute. Here is Satomi with our good friend Peggy. She also has her Natori and her professional name is Fujima Kisei. 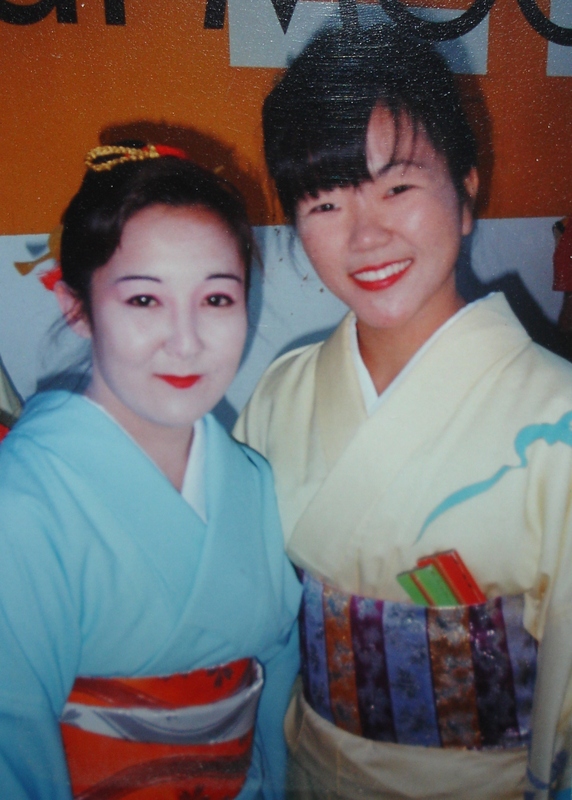 I spoke to Satomi’s mom about odori. She said that back in Japan the different Odori schools are basically different clans and you chose them for life. Intermingling was not encouraged. Rivalry could be a better description. Interesting! So maybe Satomi’s and Peggy’s ancestors were bitter rivals that battled for dance supremacy? Sorry, my imagination can get the better of me sometimes. I haven’t been looking at pictures for the same reasons you haven’t been looking at them… Now that you are well…We’ll see. ABDC as in “America’s Best Dance Crew”? Battle Odori…great.